Thought there might be some interest here. So the subreddit is finally getting attention from the forums. Seems like there's hope for the subreddit to not die in a tornado. I wouldn't mind seeing more activity on the subreddit, but bear in mind that this *is* the official place for most languages (German and Japanese notably not so). Thaks to Isaac for reposting. If you want, you can repost the answer. I'm not going to follow another forum. There has not been much activity around pak128.CS. 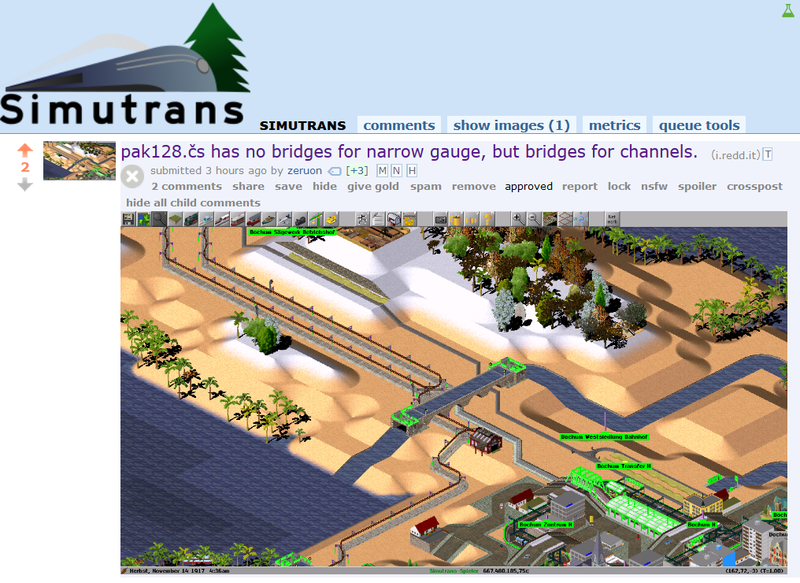 We have some graphics for NG-bridges, but only for single-height. So they are not included. Unfortunately, pak128.CS is far from complete, and nobody cared about balance yet. And for the record - to anyone wondering - I was hoping the subreddit might slowly attract redditors, not be a replacement for here. Here is always the official. So I don't mind trying to take things back and forth.